Romhacking.net - Review - Extremely good hack, This could easily pass as a 3rd quest on the original LoZ game. 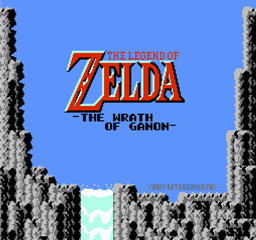 The adventure continues in ZELDA III - The Wrath of Ganon. Ganon’s forces have discovered the TriForce of Darkness! Using it’s mysterious power, they have brought Ganon back to life. 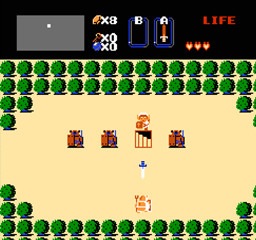 Determined to destroy Link for good, Ganon has captured Princess Zelda, broken the TriForce of Darkness into 8 pieces and hidden each in dangerous labyrinths. As long as the TriForce of Darkness remains in pieces, Ganon’s minions roam Hyrule spreading his evil at will. This adventure begins where The Adventure of Link concluded with all new Under World dungeons and Over World terrain. The challenge has been turned up with new secrets to discover and powerful treasures to earn. Can you take on Ganon and his evil minions to reunite the 8 pieces of the TriForce of Darkness, rescue Princess Zelda and return peace to Hyrule once and for all? Explore an all new Over World with plenty of monsters to defeat and discover hidden treasures. All 9 Under World labyrinths are new with different challenging hazards to defeat and secrets to discover. Subtle updated sprites/animation and color. 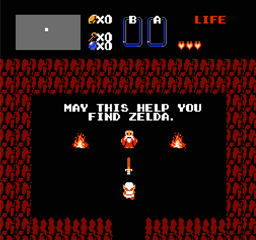 Extremely good hack, This could easily pass as a 3rd quest on the original LoZ game. I’m about half way through the first quest on this, and am really enjoying it. This is extremely well polished, and very comparable (maybe a little harder) to the game play of the original. Completely new dungeons are both fun and challenging, and definitely need to be done in the right sequence. The overworld is also very well laid out with one very long giant maze. I’ve not noticed a single bug yet, or even any odd sprites. Very polished. I’m playing on MednafenX-NES on original xbox. Thanks for making this, I look forward to finishing the quest. Please keep up the good work.